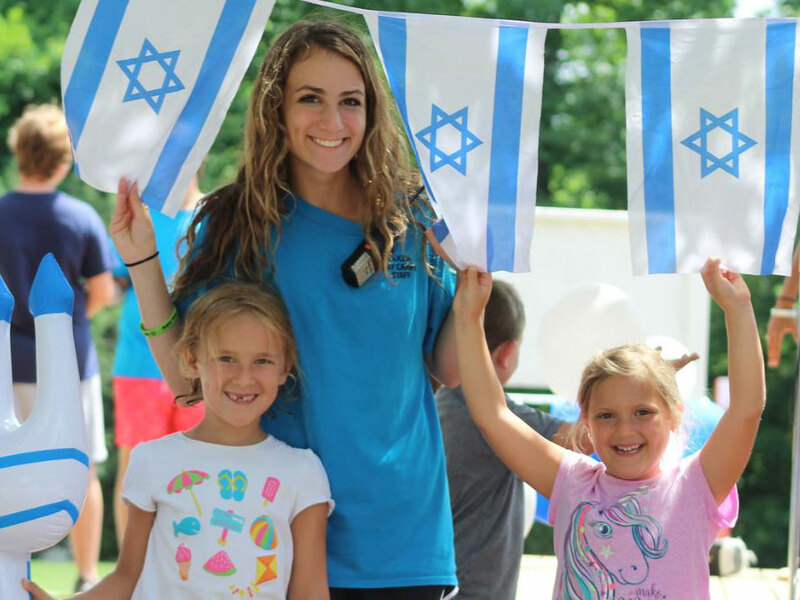 A magical summer awaits your child in our nationally recognized program of fun, friendship, and adventure that promotes self-confidence and independence, positive values, and a strong sense of connection to the Jewish community. Campers are grouped by grade level and have a blast in an action-packed day, guided by our stellar, hands-on staff. CIA activities include: archery, arts and crafts, bumper boats, canoeing, rock wall climbing, dance, drama, fishing, Ga-Ga, gardening, low ropes, sports, nature, music, and so much more. And what’s a camp day without some splashing? All campers enjoy free swim every day in one of our two outdoor pools and splash park. 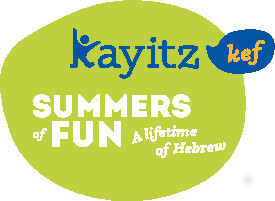 New for this year at Camp Isidore Alterman are the CIA Shuk (market) and Kehillah (community) Time! Strengthening decision-making skills and social skills, once a week, campers will exchange shekels (coins) for goodies like toys, fresh fruit, granola bars, animal crackers, fruit juices, and more. 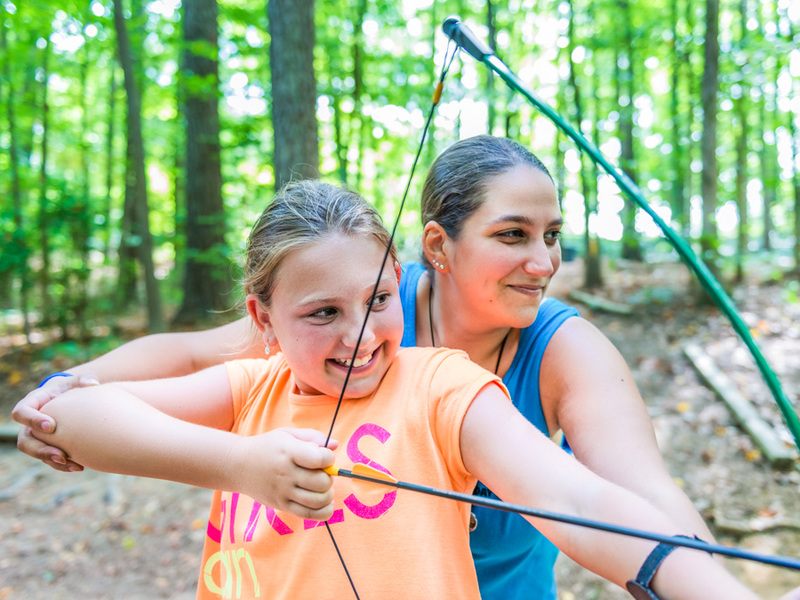 During Kehillah Time, twice a week, campers will enjoy a choice period, selecting fun camp activities to engage in with their groupmates as well as other campers from different groups in their age unit. Kehillah Time will help campers strengthen their sense of community and enhance their social skills (without even knowing it!). During Week 10, all campers will get to be part of the fun as the MJCCA hosts the 2019 Maccabi Games®! Each day, campers will enjoy one period of a Maccabi-themed activity to show their support for the games and all the athletes! Participants will learn to speak and comprehend Hebrew naturally by listening to and interacting with their staff in Hebrew throughout the day as they enjoy all the exciting activities of MJCCA Day Camps. New this year, Gesher is offered in a 4-week or 8-week session. In its fourth year nationally, we’re proud to be one of the few camps in the country to offer the transformative Gesher program, which is in collaboration with Kayitz Kef / Hebrew At Camp, a project of The Areivim Philanthropic Group in partnership with the Foundation for Jewish Camp, and made possible by the generous support of The Steinhardt Foundation for Jewish Life, the AVI CHAI Foundation, The Davidson Foundation, The Wexner Foundation, and The Marcus Foundation, Inc.
CBM Experience offers campers the perfect “taste” of Camp Barney Medintz, the MJCCA’s overnight camp in the North Georgia Mountains. Campers begin their week at MJCCA Day Camps to get to know their cabinmates. On Tuesday morning, they head off for an amazing three-night adventure at CBM. They are immersed in the CBM community, participating in tons of cool activities, sleeping in bunks, going to a cookout in the woods, and even getting canteen and mail! This program is a great way to get the feel of overnight camp, but only be away from home for just a few days. Please note: this camp has an additional fee of $400 per camper.